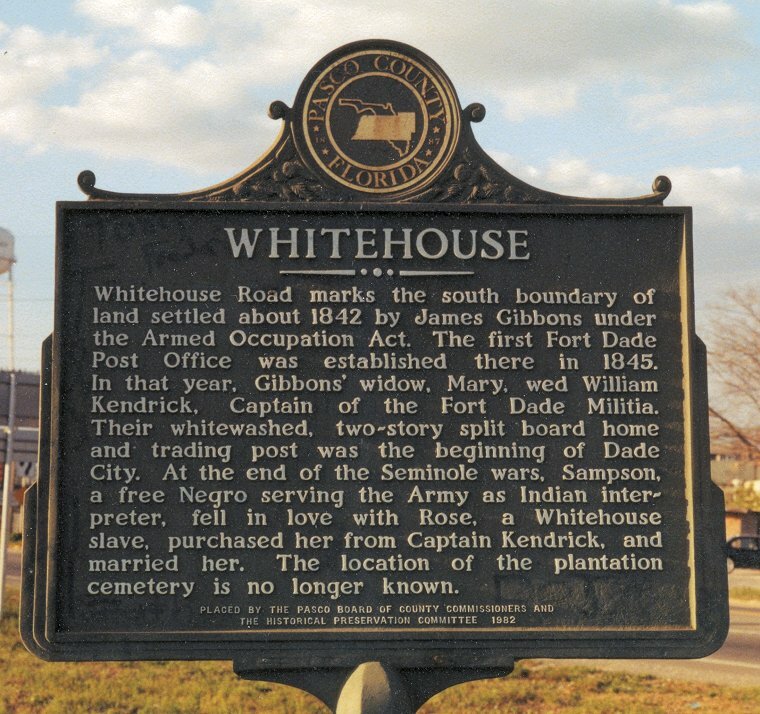 WHITEHOUSE HISTORICAL MARKER. This marker is located in a large grassy median within the V-shaped boundary formed by the intersection of US Highway 98/301 (7th St directly through Dade City) and the 98/301 Bypass around Dade City on its East side. There is plenty of room to get safely off the highway to read this marker. It is the best approached southbound on the bypass or northbound on 7th St, as the other approaches require left turns across traffic, or a U-turn.